Grant UK is launching its biggest ever promotion with thousands of prizes available for G1 installers to win. Open to members of its G1 Installer Scheme, the promotion is launching on 1st July and runs until 31st December 2018. Over the course of the promotion, a prize draw will take place every month with fifty G1 installers each winning prizes worth up to £400. In addition, there are thousands of guaranteed Runner-Up prizes being given away. Any G1 Installer who registers a qualifying product via the G1 Portal or Click App will win a monthly prize, so this promotion has certainly earnt itself its name! The 50 top prizes consist of three high-value items. Each month, ten Kane 255 Analyser Kits, ten Fill and Flush machine packs (which includes the machine, connector and a Grant Mag One filter) and thirty Rhino 3m pipe carriers will be up for grabs. Meanwhile, the Runner-Up gifts will consist of tool sets, Kane pocket thermometers and Kane voltage testers. 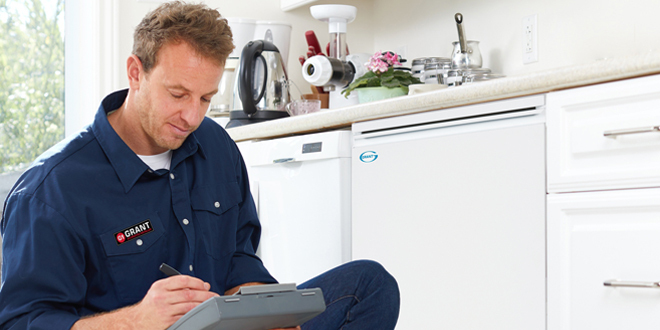 To enter the prize draws, G1 installers simply need to register a Grant oil boiler, air source heat pump, biomass boiler or solar thermal system via the G1 Portal or G1 Click app between the respective months of July and December this year.